A fun Foot Blog that’s filled with helpful information about caring for your feet. See what really works & what doesn’t, plus lots of little-known secrets about bare feet and everyday foot care. In case you’re wondering, we’re not fashion divas around here. We’re pretty frugal — and practical — when it comes to taking care of our feet. Like you, we only want to buy what really works! And we usually have a budget in mind. Your feet need to feel good and look good 24/7 — because they’re the foundation that keep you going day in & day out. So if your dogs are barkin’ then it’s time to get a grip on what’s ailing your sore & tired feet before it’s too late! In addition to all of the little-known secrets about foot care, you’ll find some fun foot stuff here too — including some of the best foot pictures and foot videos ever. So, take off your shoes & kick up your feet. 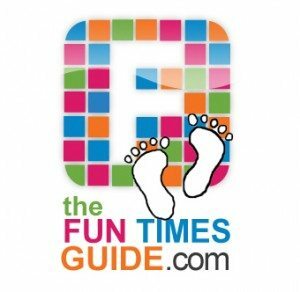 We hope you enjoy your stroll through The Fun Times Guide to Feet. It’s where people with feet go to find what really works. P.S. Looking for information about foot fetishes? Sorry, we’re not really into that around here. We only write about things associated with feet that will make them look better and feel better, with the aim of saving you time and money. We do share fun photos of feet in the Foot Photo Gallery and interesting videos of feet in the Foot Video Gallery, though. You might enjoy those!